Contract (7 days - Monday 29th April - Sunday 5th May 2019). PAY: £100 per day Plus all Expenses. ALL APPLICANTS MUST BE ABLE TO COMMENTATE IN FLUENT FRENCH (Via a Headset Microphone - in front of large crowds) and communicate in English. A fantastic opportunity to tour through the best parts of France, at the best time of year! as part of our event production team for the Tour Auto Classic Car Event. We are seeking a bilingual PRESENTER to join our event team for a program of daily events running alongside the French Tour Auto Classic Car Tour. The successful applicant will act as Host for our spectacular scale motor racing activity as it delivers a Brand Promotion for a leading oil company on the tour. As part of an event ‘team’ the successfully applicant will assist with our system build (assembling an awning arrangements and AV equipment attached to a 7.5T Truck) - Full training will be provided. As well as having direct liaison with clients, they will have the opportunity to ‘host’ the activity. This is a ‘centre stage’ element of the role when staff become the master of ceremonies in front of what is always a captivated audience. It is a tremendously rewarding element of the role but requires confidence, quick-wittedness, resilience and an excellent command of spoken French. Full training will be provided, but applicants must be prepared for the first moment when they will be left alone on the microphone! •	Public Speaking / Hosting while Operating the system controls. As is the nature of the events industry, unwavering flexibility and a ‘can do’ attitude is essential. This is a unique opportunity to join the team of one of the World's most successful, innovative and fastest growing event providers. The Racing Bug is in the business of putting smiles on faces and always delivers the most vibrant and exciting element of any event. 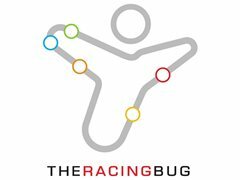 Events take place at high profile Shows, Exhibitions, Race Meetings, Corporate Events and Product Launches throughout the UK & overseas and The Racing Bug goes out of its way to over deliver in all aspects of Event Management. As a relatively new and rapidly growing business we can offer ‘fast track’ opportunities for outstanding employees to grow and progress. While this is a single contract opportunity, we are always keen to find great people who can fulfill the ever growing opportunities that our rapid growth presents. Language experience in French and English? 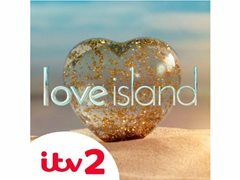 Experience of working in the event industry?